One of my acquisitions during my downtime was one of the Les Paul Studio “Robot” Guitars. People’s opinions of this guitar’s usefulness vary pretty widely around the net, but I quite like it, especially in the studio. 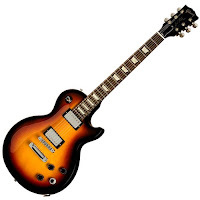 And since they were essentially on clearance, I got a USA-made Les Paul for under a grand, with all the rights and priveleges pertaining thereto… AND got a guitar that can fricking TUNE ITSELF. “Big deal,” you probably say. “I can tune my guitar just fine.” Well, sure! But it’s pretty handy, I gotta say. Especially if you’re constantly retuning to different tunings for different songs – for instance, this thing would be awesome if I was a guitarist in a cover band. To silently, quickly retune to drop-D while the singer was addressing the crowd would be useful, no? No waiting for the guitarist to stomp on a pedal tuner, and trying to fine-tune with all sorts of stuff going on? And it does all six strings at once, which I know you can’t do. So it’s efficient and cool. And I gotta admit, it’s hard not to grin while watching the tuners spin whilst doing their thing. Another aspect that gets overlooked: re-stringing. It has locking tuners, and a mode where you simply get the string on the post, hold it in place, and the guitar automatically winds the string up to pitch! No more bleeding fingertips from the damned high E string, no more of the string slipping off the post. Finally, the guitar has a built-in intonation mode. You play the note at the 12th fret, then play the 12th fret harmonic – the guitar then tells you how many turns on the intonation screw to make to get the string properly intonated. C’mon now, that is cool. Now, would I have spent the original $3000+ price for this guitar when it first came out? Hell, no. 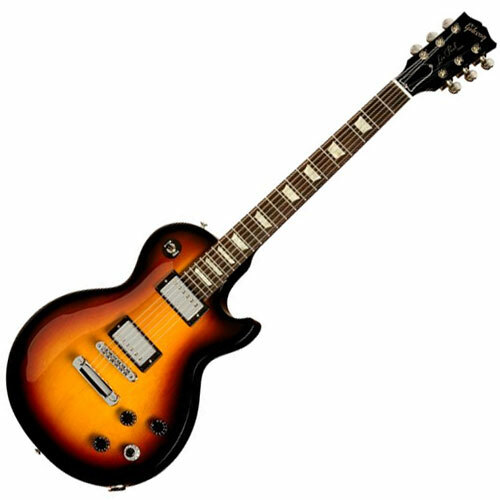 But for the very slight upcharge from a standard Les Paul Studio, it was a no-brainer. I did sell my heavily modded Fender Toronado to fund the purchase, which was bittersweet, but since I’m not a guitarist, I couldn’t really justify having both (since I still have several other guitars as well). But I’ve been very happy with the Les Paul – it’s a very resonant, great sounding guitar, plays really well and is lots of fun to play with.